Across convenience stores, various types of advertising flags are used for promotional purposes. 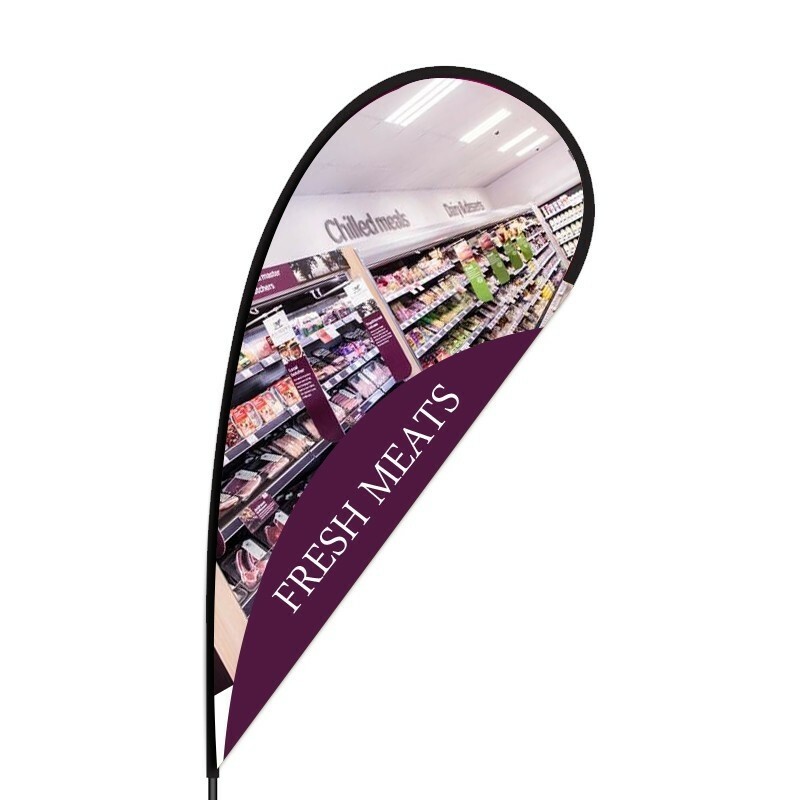 Pre-printed flags for markets placed outside stores or any other activity venue are an attractive and cost-effective way to attract instant attention. 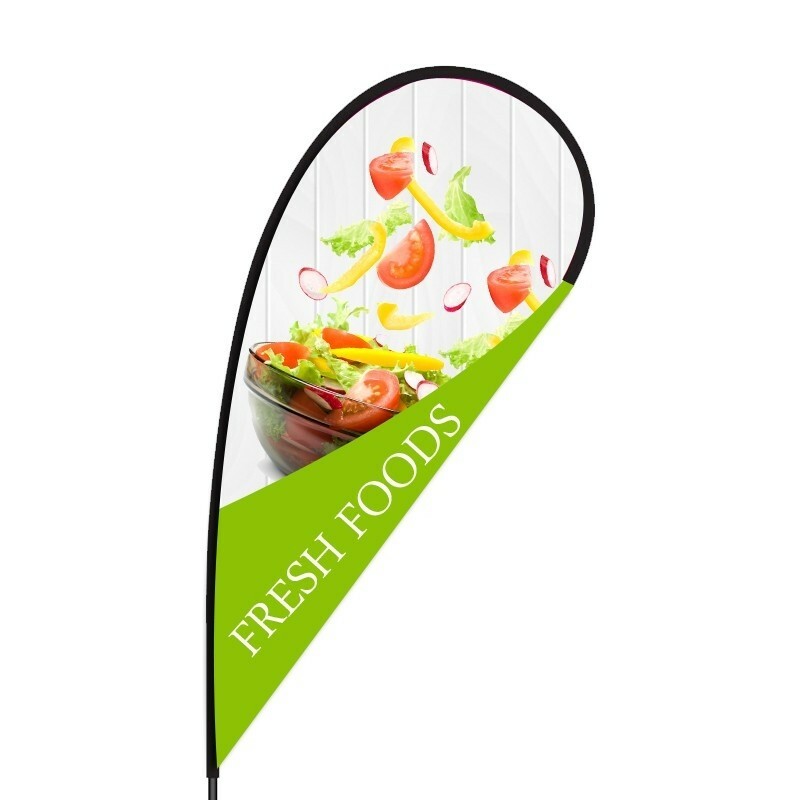 Convenience store flags and promotional flags include different kinds of plain and printed, feather, teardrop, giant flags and more, all of which work fabulously at different kinds of indoor and outdoor events/exhibits to spread awareness about brands, products, and services. Promotional store flags can also be custom-printed to your specific requirements and budgets. In big cities where space is a perennial problem, feather and teardrop flags are a boon as they efficiently advertise your brand, event or product/service within limited spaces. 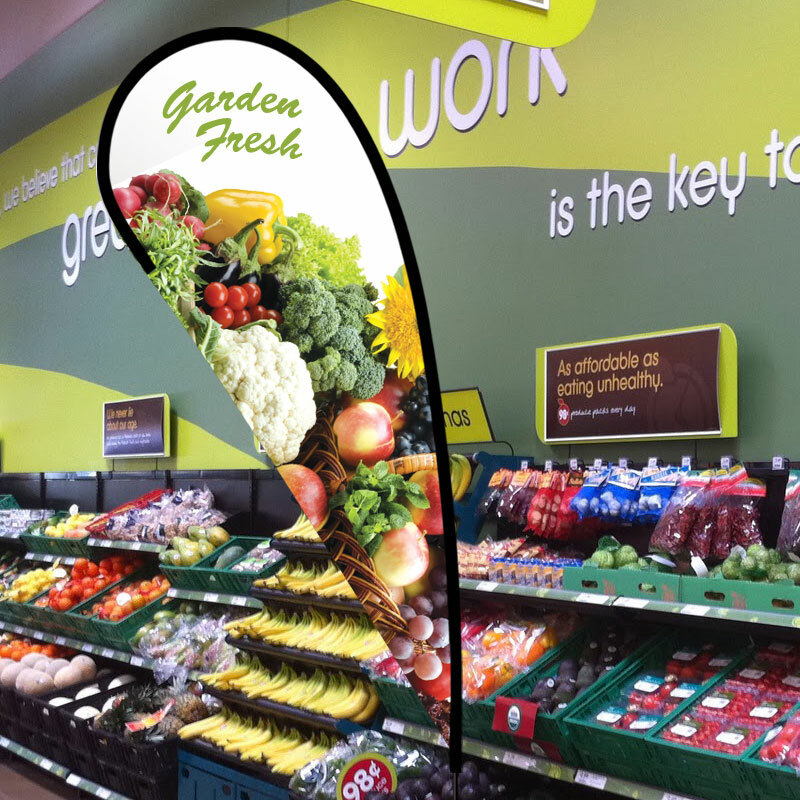 Store flags are not too large, making them a smart advertising option in crunched spaces. And even though these flags occupy less space, their designs, prints, and fonts can be clearly seen from afar. Flags and flagpole kits are one of the simplest types of marketing tools to assemble. Just telescope the flag parts together, set up the stands, slide/add the flags to the pole kits and the assembly is done. The flags are simple to disassemble as well, upping the convenience quotient further. 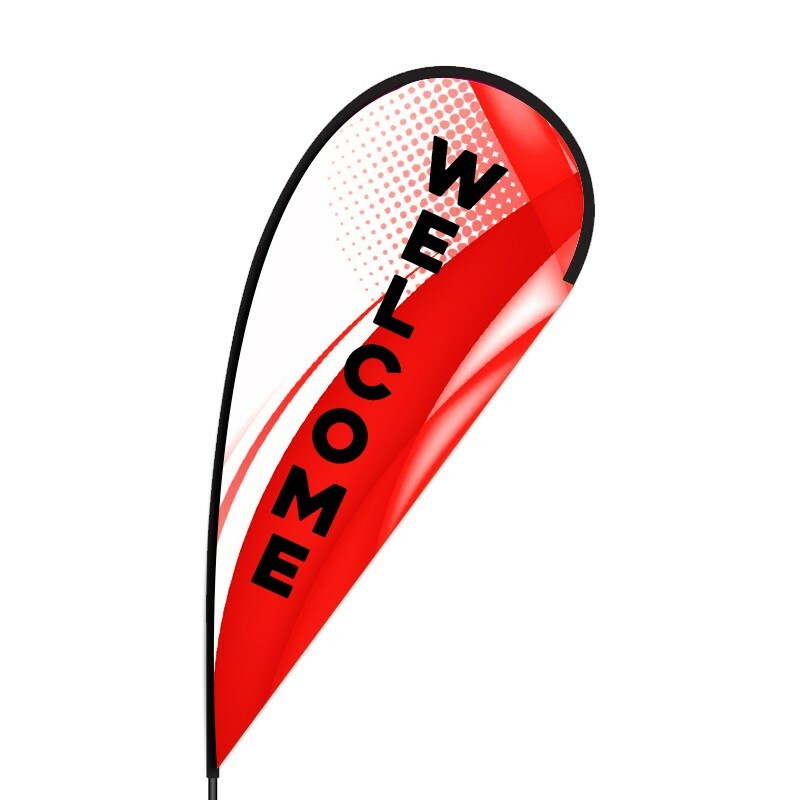 Giant ad flags and fluttering flags like feather flags are great for any kind of promotion. Apart from convenience stores, they can be used at trade shows, exhibitions, openings, product launches and other outdoor or indoor events. There is no hard-and-fast-rule to take these flags down after use, nor do the flags lose their ‘validity’, giving you 24x7x365 brand exposure. You can use these flags for as many years as needed without having to spend on replacements, indeed making them a one-time investment that gives years of continuous returns! Customized store flags are relatively cheaper than costlier forms of advertising like television, radio, newspaper, etc. The affordability of these promotional flags combined with their quality and longevity give excellent brand awareness and the best of your money’s worth! Convenience store flags and their poles are portable and lightweight, making them easy to carry, transport and install virtually anywhere you wish to advertise. Some of these flags even come with convenient carry bags, letting you quickly set up the flags absolutely anywhere you want, indoors or outdoors. This is an ideal advantage for those who travel frequently for promotional events. Feather, teardrop and giant flags (and other similar ones) are rugged and resilient enough to withstand all kinds of weather - Wind, rain, heat, cold, even snow. Some of these flags are built to rotate with the wind, preventing them from tangling or tipping over. Hence, you never have to worry about your advertising efforts going kaput due to poor weather conditions. 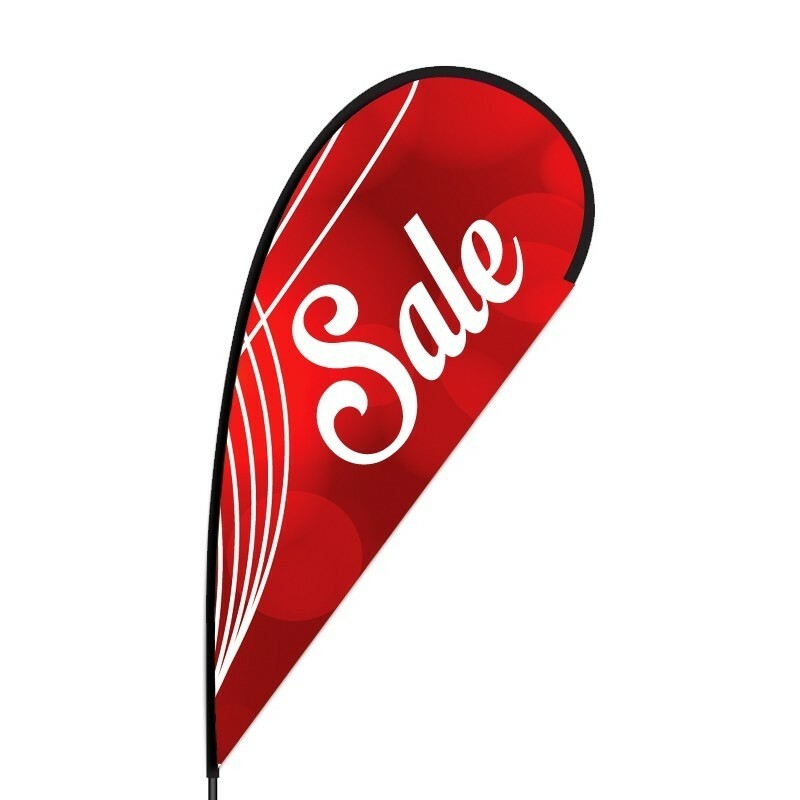 Available in various sizes, prints, and designs - Feather, teardrop, giant and other store flags are incredibly versatile and can be a boon for stores, markets, flea markets, and other similar events. Moreover, you can unleash your creative imagination and customize the flags exactly as you like. 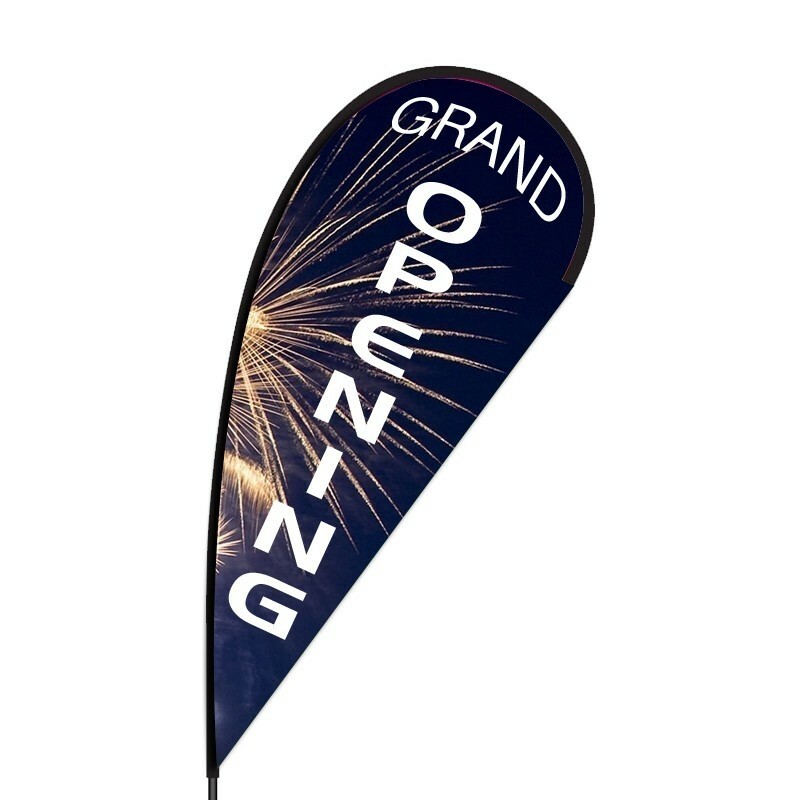 With custom-printed graphics, logos, designs, and fonts on beautiful custom store flags, you can have your brand/event well noticed and efficaciously get the ad message across to your target audience. Store flags are worthwhile advertisement investments that are affordable, convenient, versatile, and appealing enough to attract quick attention. Once assembled, they are out of the way and unassuming. Promotional store flags can truly take your business to the next level!